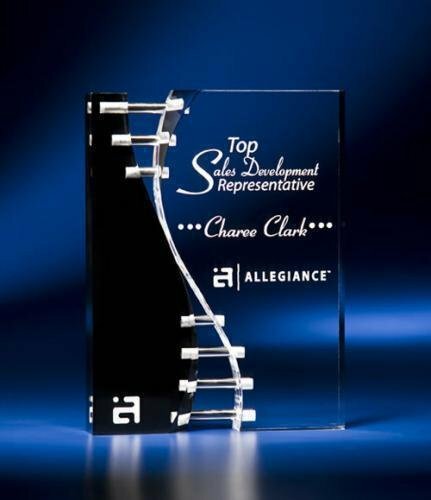 Elegance, beauty and distinction describe these optical beveled crystal tower awards mounted on a cobalt blue base. 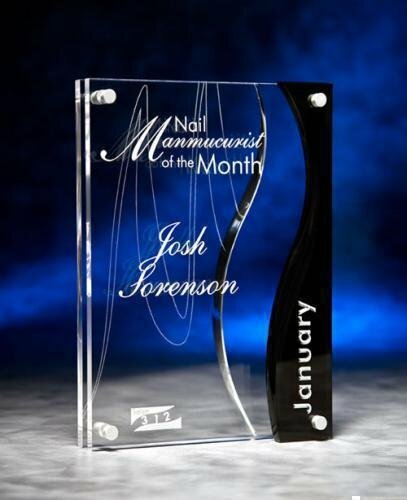 Creamy white hand-blown art glass combined with soft droplets the color of sand unite to form an award that directs the eye up and out. The White Swirl is designed to symbolize greatness and commitment.